This PVC banner comes complete with eyelets supports the site traffic sign design of "white text on a red background" and includes the wording Caution - Site Entrance. 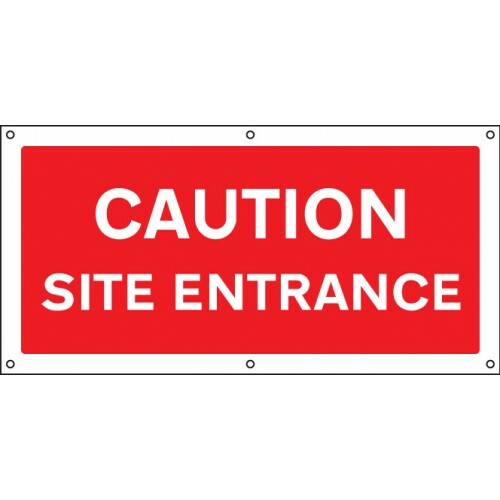 This PVC banner comes complete with eyelets includes the "Site Safety Tick Symbol" plus the wording Site Safety Starts here.Printed PVC banners offer a quick and effective solution to site safety. Mi..